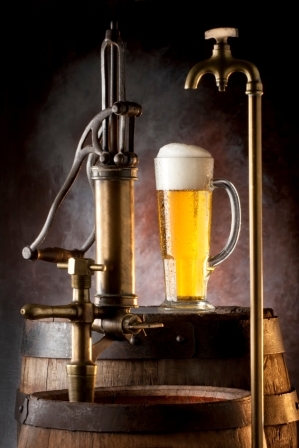 The BeerSmith Home Brewing Blog is all about making beer at home. Topics include brewing tutorials, homebrewing techniques, product and book reviews, articles on brewing popular beer styles and brewing news. This week my guest is Dr Chris White, President and CEO of White Labs, a premiere provider of yeast for home brewers and Craft breweries. He is also the author of Yeast (Amazon link) the definitive book on beer brewing yeast. We discuss some of Chris’ recent travels. Chris provides his advice on yeast preparation for both dry and liquid yeasts. We begin discussing the yeast life cycle starting with the lag phase which occurs immediately after pitching the yeast into wort. Chris tells us why oxygen is so important for the lag phase of fermentation. We talk about the next phase which is rapid growth. This is also the phase where alcohol, CO2 and most of the flavors associated with yeast are produced. He explains the third stage which is the “stationary” phase where maturation and flocculation of the yeast takes place. We briefly discuss off flavors as well as the importance of completing maturation before rushing to cold crash or filter your beer. Chris gives his closing advice on fermentation as well as discusses some of the new projects ongoing at White labs.